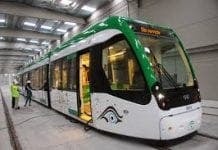 A GROUP of 7000 passengers has successfully tested a new stretch of the Malaga Metro. They were transported along a route which stopped at five stations. 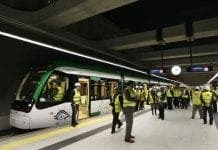 Users said they were impressed by the space inside the stations and the modern design of the trains. At one point there was a 300 meter queue of people waiting to see the trains. The mayor of Malaga, Francisco de la Torre, visited the metro along with other local and regional dignitaries. He said more than 216,000 residents will have a metro station less than 500 meters from their home once the lines are completed.